Hadara - Hebrew for "glory, beauty, splendour". When an aesthetics boutique carries such a beautiful Hebrew name, you know you're in for an indulgent treat, one where the most important element there is you. 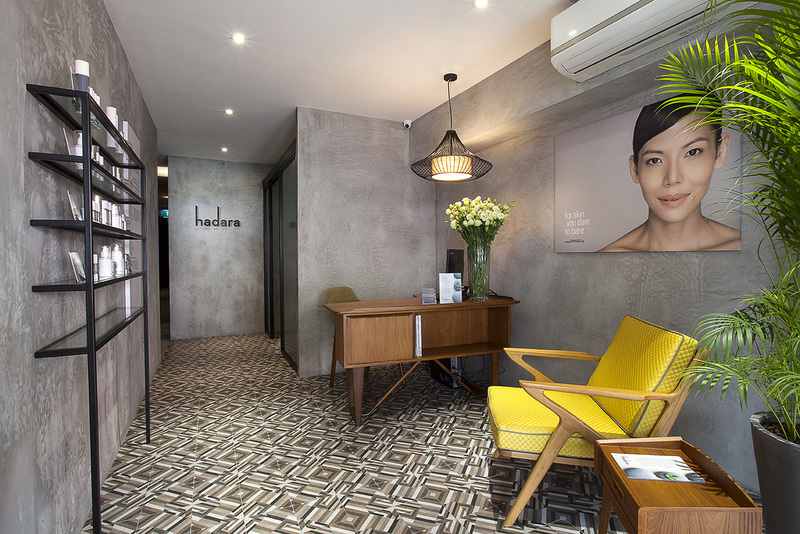 "The aesthetics boutique, opened in September 2014, is a tranquil space which offers time starved and stressed executives a quick getaway from the hustle and bustle of work to pamper themselves in their personal beauty Shangri-La before stepping out all ready to take on an equally buzzing social calendar. 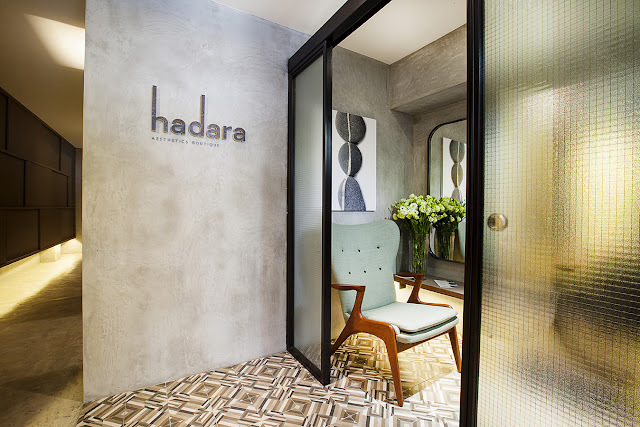 The Hadara experience is an embodiment of its meaning – Beauty, Glory, and Splendour in Hebrew – a place where heavenly instant fixes for the face, skin, and body are just around the corner." Remember my first ever facial? If you have been following my blog since December 2014, you may think Hadara sounds like a familiar name - that's because I've once blogged about this tranquil place when I had the chance to try out their awesome Hadara Power Facial (read here). "Experience 40 heavenly minutes of deeply relaxing massage that harnesses east-meets-west techniques, focusing on the pressure points of your face. Apart from draining out toxins, this specialised facial massage helps to improve blood circulation, reduce eye bags, stimulate collagen and promote general well-being." As the name suggests, the Hadara Heavenly Acu-Press Massage is literally 40 minutes of massage goodness. No fancy schmancy machines or tools are used throughout this facial treatment, but what you get is the therapist's unique strokes and techniques from her amazing pair of skilled hands. Let me tell you, my experience was indeed heavenly. 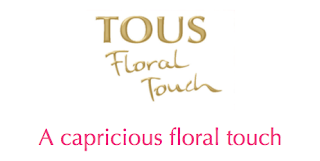 TOUS TOUCH introduces a new fragrance for us girls to to indulge in; a collectors’ limited edition with an ultra-feminine design; a subtle prelude to the aroma inside. 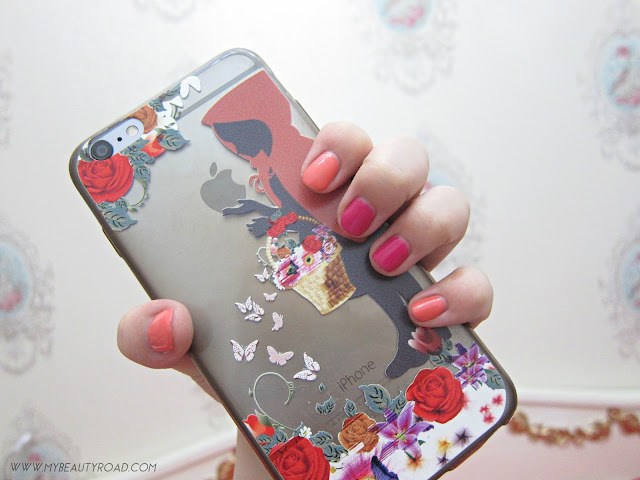 Shiny, glossy nails that last for 2 weeks or more with no drying time? That's typical gelish nails for you, and they unfortunately come with a cost - thinning, dehydrated nails that become damaged and brittle. The Depend GelLack Nail System is all but the harmful aftermath. Unlike regular gel nail polishes that require buffing (before application) and acetone removal, the unique formula of Depend requires none of that, thus making in the brand a much healthier choice for your nails while still ensuring that you achieve high-gloss nails that last for 2-3 weeks. The best part? All of this can be achieved in the comfort of your own home! As if my love for Depend GelLack isn't obvious enough, read on to find out more about this in-home system, the how-tos on applying and removing your Depend gel nails, price and availability... all that jazz. The annual yoga-music-dance festival is back! 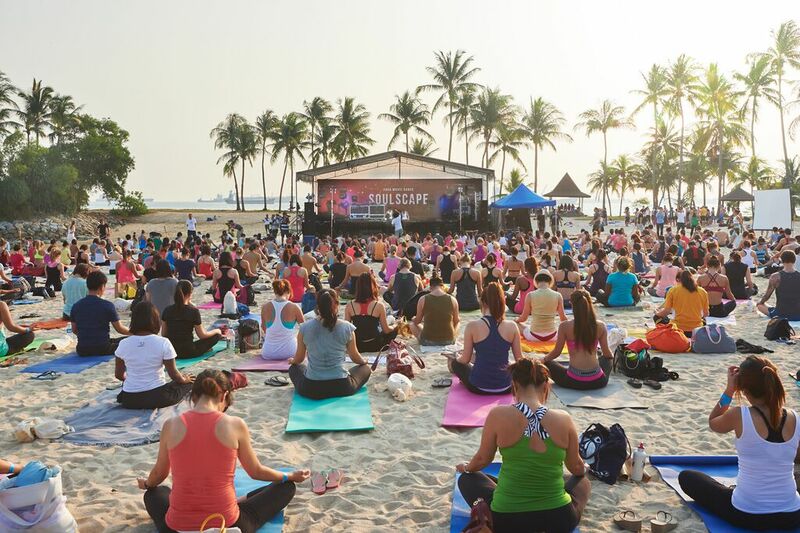 SOULSCAPE is Singapore's most iconic yoga festival that gathers yoga and health enthusiasts (or anyone really, even kids!) for a full day of fun and holistic movement encompassing 3 things: Yoga, Music and Dance.